One of the greatest challenges, if you are a sports enthusiast or committed outdoor-type, is transporting your kit. You bundle your friends, your family and yourself into your car and then you realise you have all this kit too. This is particularly true if you enjoy kayaking – then there is no choice but to equip the roof to carry your equipment. There is so much choice available in roof racks that it can become difficult to know what to buy. 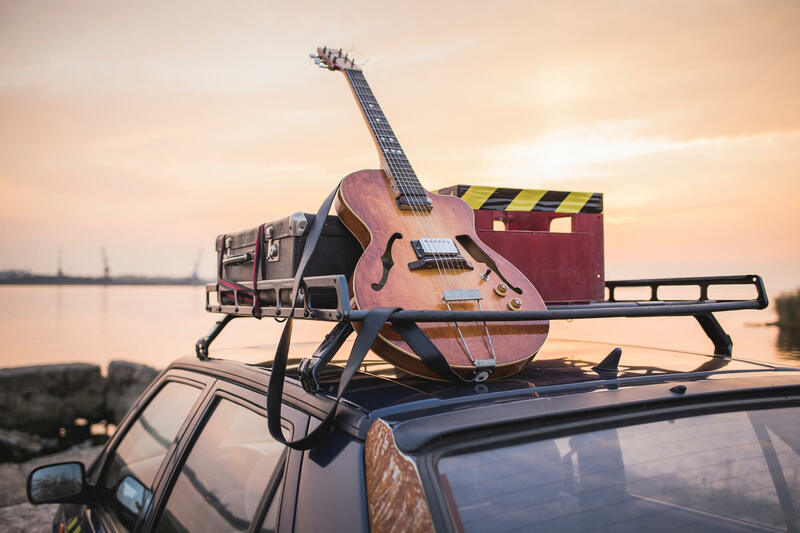 Before you can choose, you need to decide if you need a base roof rack, or not. A roof rack is a set of bars that you attach to the roof of your car. It is then on this rack that you place your gear mount. The components of a complete roof rack system are towers, fitting pieces, crossbars and gear mounts. Here we are focused on the crossbar system itself – where wind and noise are the most important factors in design. Rhino-Rack has been producing high-quality and sturdy roof racks since 1992. They target those serious in sports and travel – who are out on the road in all weathers and at great distances. You can buy the Rhino-Rack Vortex in black or silver. It is available in 7 different predefined sizes and is designed to reduce wind drag and therefore potential noise or increased fuel consumption. All bars come with end caps and a VGS strip. You Rhino Vortex comes with a single bar and you will need to buy the towers separately. The Rhino-Rack Vortex can hold a sturdy 160lbs easily – though most users report being able to carry much more than this with some confidence. These bars are sold on being well-made and strong – and you definitely get what you pay for here! The INNO Aero Bar is an affordable, well designed crossbar for carrying your kayak. It has a low-profile design, which allows for a quiet ride with excellent fuel economy. There are locks and keys included for security and bar end stop for added safety. The INNO Aero Bar comes with just one crossbar, with the understanding that some cars require different size bars for front and back. Built from non-corrosive aluminium – these crossbars come with a double wall construction for light-weight strengths. The wing-like design ensure an aerodynamic profile, which reduces wind resistance and noise. The Malone AirFlow 2 crossbars can carry a load of 165lbs and comes with a lifetime warranty. Malone have years of experience in roof racks and work hard to produce efficient and well-designed products that get you and your kit on the road quickly! four SmartFoot mounts with cushioning pads. two SmartFoot mounts with cushioning pads. The Through Bar does not come with the SmartFoot fitting and this will need to be bought separately. Installation is straightforward and with a lifetime warranty – these bars offer peace of mind when transporting expensive equipment such as your kayak. The best thing – you will notice no difference in your fuel mileage – so you can keep the rack system attached to your car with no concern. Although a little more expensive than some systems, these look great and will eventually save you time and money due to the quality design. The Thule Aeroblade comes in two colours, silver and black, and four sizes, 43”, 47”, 53” and 60”. This is an advanced roof rack set of crossbars that are designed to reduce noise and be aerodynamic – reducing impact on fuel use and looking great. They are designed like a wing, in light-weight yet super-strong aluminium. This is state-of-the art WindDiffuser technology. easy to use and install, with t-slot fittings that are compatible with Thule rack feet, including Thule Rapid Traverse, Rapid Podium, Rapid Crossroad, Rapid Trucker and Rapid Aero – all of which is sold separately. complete with a measuring system that means you can install without the use of a tape measure! fitted with t-slots with SwingBlade end caps that pivot open and closed. Thule is so confident that these bars will work and keep working that they offer a lifetime warranty, with some limitations. The best things about these bars? You will forget they are attached – they barely make a noise and your tyres on the road are likely to drown out any noise they do make! Yakima JetStream Crossbars are premium alloy. They are designed specifically for aerodynamic performance, to save fuel and reduce wind-noise. This rack is meant to streamline your car, having been designed in a wind tunnel for maximum efficiency. Even the tower mount has been designed with airflow in mind, slotting over the fittings. You will need to buy the fittings as extras, whether this is the Yakima Baseline, Ridgeline, Timberline or Skyline towers. strong and lightweight, design to carry boats, skis and more. Each JetStream system comes with two bars as standard. It is easy to install, and you should be on the road in a matter of minutes!